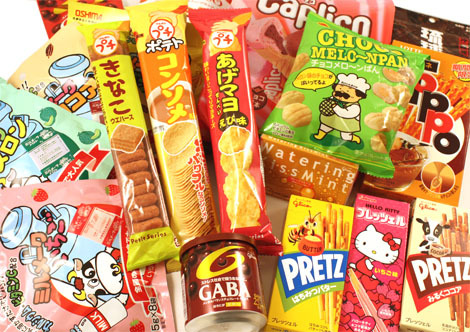 At Japan Centre we’re proud to have one of the widest selections of Japanese sweets and snacks in the UK, including some exclusive to Japan Centre Food Shop. If you have ever been to Japan, you’ll have seen Glico’s range of Pretz pretzel sticks which are available in a wide range of flavours – including Honey & Butter, Cocoa Milk and even Olive Oil & Tomato specially imported by Japan Centre. We also sell Glico’s Watering Kiss Mint gum and a range of GABA chocolate balls, which claim to help fight everyday stress contributing to a healthy mental balance! If sweets are not your thing, we also sell Oshima’s mixes for flavoured milk in a variety of flavours you could only find in Japan – Banana, Cocoa, Strawberry and Melon! Come to our food shop in Regent Street or check Japan Centre Online to see all that we have to offer! With new items coming in all the time, there’s always more to discover! Mmm reading about this is making me hungry! Lol.